I can tell you how great our furniture is and how we resolve issues so you’re not inconvenienced, but read it here from a REAL customer. I should mention we open and inspect all furniture before delivery. In this case the corner of the Amish made dining table was crushed, we will replace the table but since Turkey Day is coming we didn’t want to disappoint the customer so we offered to have them use the damaged table till the new one arrives. We don’t touch up because we want it right for you! 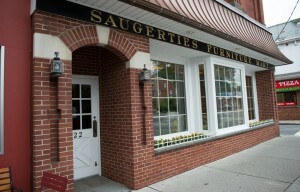 Visit Saugerties Furniture Mart on Main St. in Saugerties and see the difference 67+ years of experience makes! Friendly, knowledgeable staff. Delivered on time. Furniture was damaged but was called and was told it will be replaced. Deliverymen were friendly and courteous. Love the workmanship of the products. 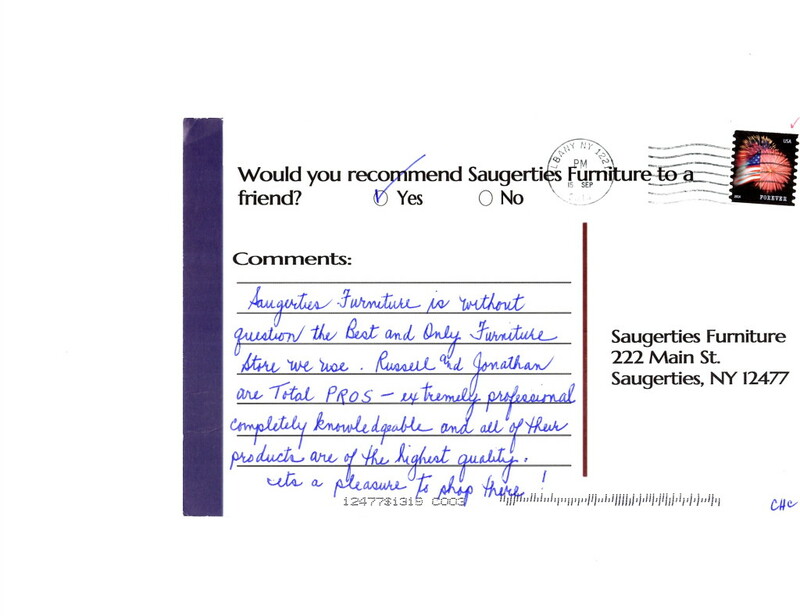 Will buy from Saugerties Furniture again. Thank you. Click here to see all of our quality furniture! We want to make you happy and your home beautiful. There’s no games, gimmicks or annoying “salespeople” – we’re furniture professionals and you’re going have a great experience from start to finish. Read here what a satisfied, repeat customer has to say about their experience in our store. My husband I have always been very pleased and satisfied with all that Russell and Jonathan have done for us. We just received our bedroom furniture, along with our couch and recliner – thrilled! We appreciate all that is done for us at the store. Russell goes above and beyond to make sure we are satisfied customers. The men who moved our furniture were terrific! Professional and thorough. Click here to visit our online showroom! We have the nicest customers! 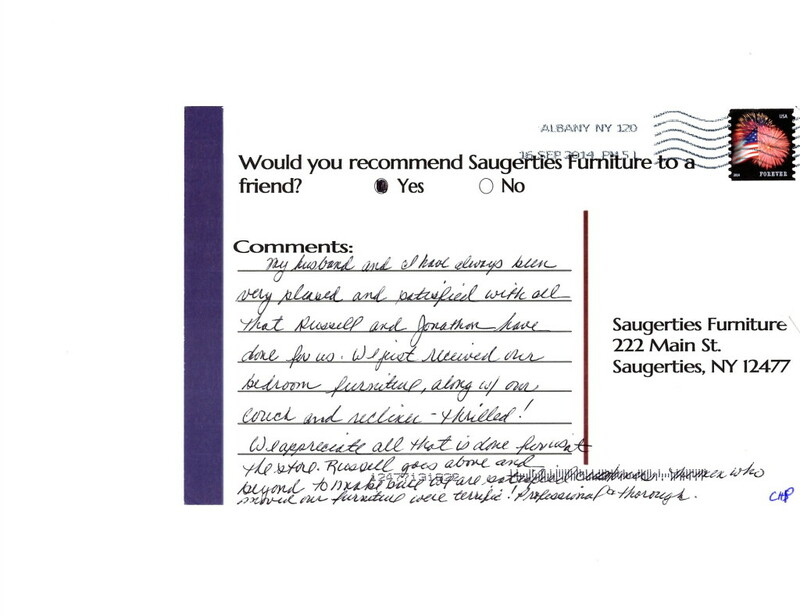 Here’s a review that confirms our commitment to knowledgeable service, quality furniture and a pleasurable experience from start to finish. We’re here to help 7 days a week. Click here to read more review from real customers! 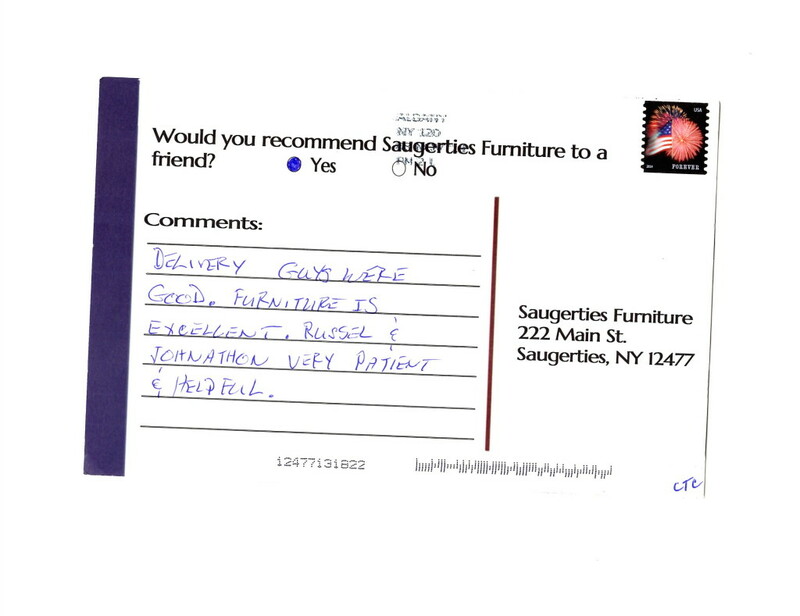 Saugerties Furniture is without question the best and only furniture store we use. Russell and Jonathan are total PROS – extremely professional, completely knowledgeable and all of their products are of the highest quality. It’s a pleasure to shop there! Take a Virtual Tour of Saugerties Furniture Mart’s 4 Floors! We may be approaching our 67th anniversary but we are hip with the times in both furniture fashion and Google tools! I couldn’t wait to take advantage of Google creating a virtual tour of our family’s store with their Street View Technology and Eric Wood of Inside Three Sixty made it happen. I think he did a great job! Click here to take a Virtual Tour of our 4 HUGE floors full of quality American Made furniture. You can navigate through our store just like on Google Street Maps. Use the buttons on the right to move between our 4 huge floors! 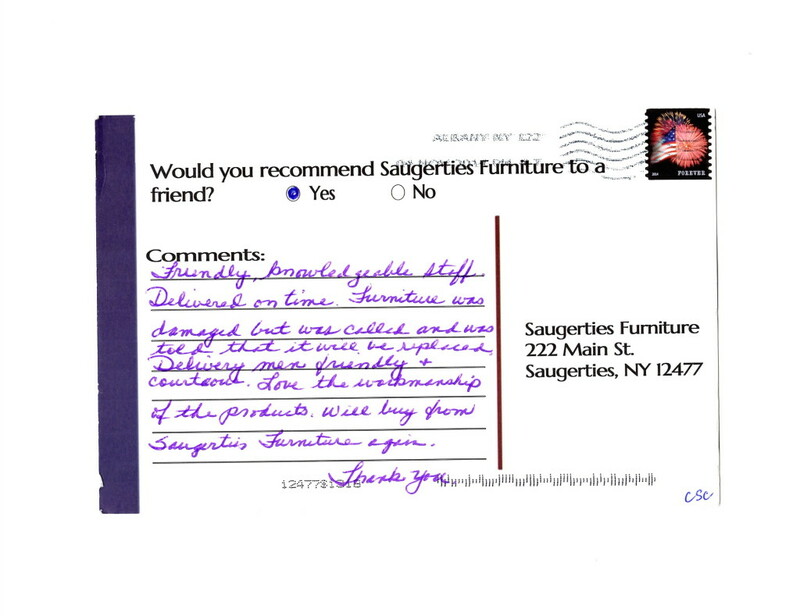 Click on the Store Front for the Virtual Tour – Stop by 7 days a week to see what makes Saugerties Furniture Mart a destination for furniture shoppers from the Hudson Valley and Capital District regions.